Serenity, privacy, nature, wildlife, fishing, hunting and the list goes on for the amenities of this 10 acre property that also has a 3 bedroom 2 bath ranch home with an office, a separate hot tub room, a wood stove for heat but has a propane backup, newer central air and a generator plus an updated galley kitchen with granite countertops. Outside there is a 30'x24' barn, large 54' x 38' garage with a charming "party room/get a way" and a workshop, two sheds 20' x 10' and 12' x 10', a wood shed and even a greenhouse plus a chicken coop. 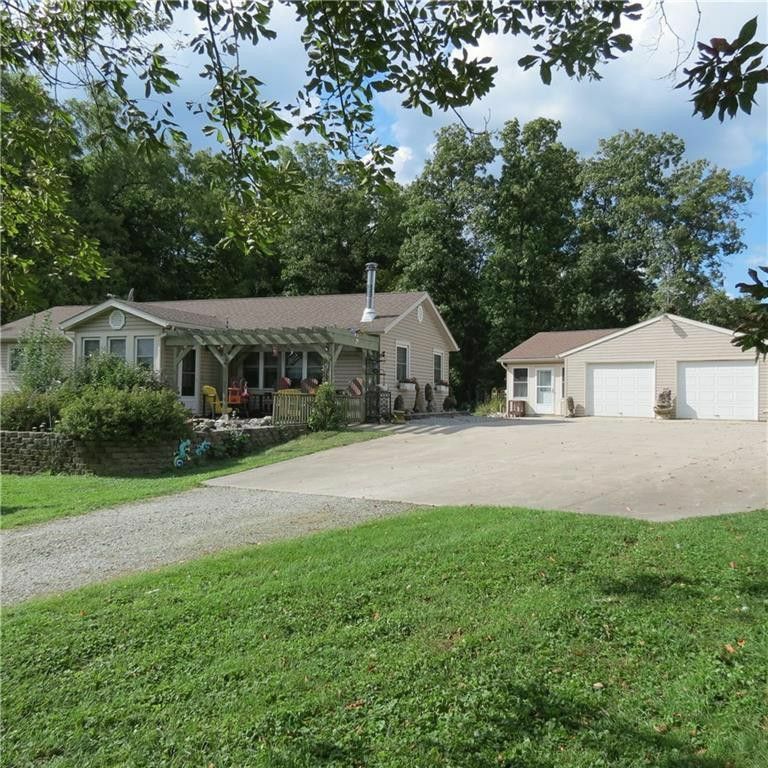 The property is wooded and has a large pond stocked with bass, bluegill and catfish and is highlighted with its own lighthouse and fountain. Back a long lane and away from the world, this might be just what you are searching for. Directions: St. Rt. 47 to North on Patterson Halpin Rd.